Hepatitis C is a major concern amongst Aboriginal people in Canada. Poor health, poverty, low education, limited housing, high unemployment, and sanitation problems are important factors that promote the spread of hepatitis C infections among Aboriginal people. Factors that increase the risk of hepatitis C infections include the regular use of injection drugs and involvement in other high-risk activities at an early age. Aboriginal prisoners in Canada’s jails may be at greater risk due to the high rates of infection among this population. As well, researchers have identified the previous widespread use of non-disposable medical equipment as a potential cause for hepatitis C infections among Inuit. 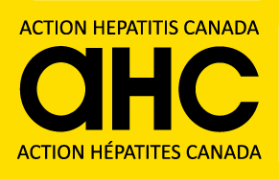 Researchers believe that infection rates for hepatitis C are higher among Inuit and First Nations (1% to 18%) compared to other the Canadians (0.5% to 2%). Research also suggests that the pattern of infections and the various factors that place Aboriginal people at risk are different from other Canadians and therefore hepatitis C prevention education and health promotion should be different as well. Many resources are available online including brochures, posters, and A Guide for Getting Ready for Treatment. Please click on the links to obtain further information. National Aboriginal Hepatitis C Awareness Month is held annually from May 1 to May 31.